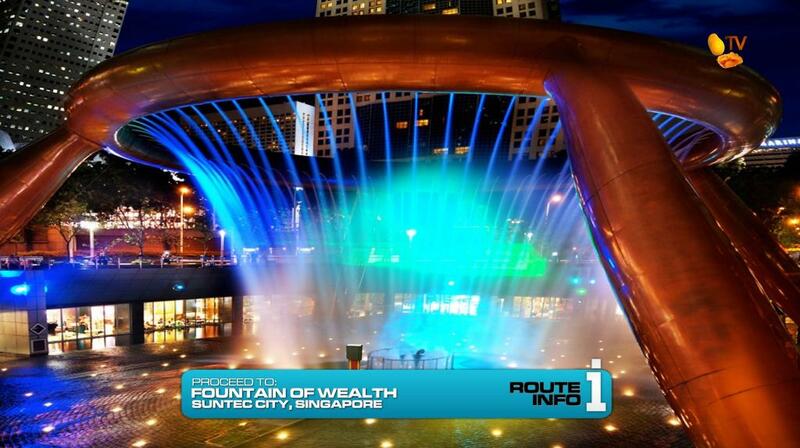 Arriving in Singapore via Chennai at 4:40am, teams must make their way to the Fountain of Wealth at Suntec City where they must make a wish before taking their next clue. 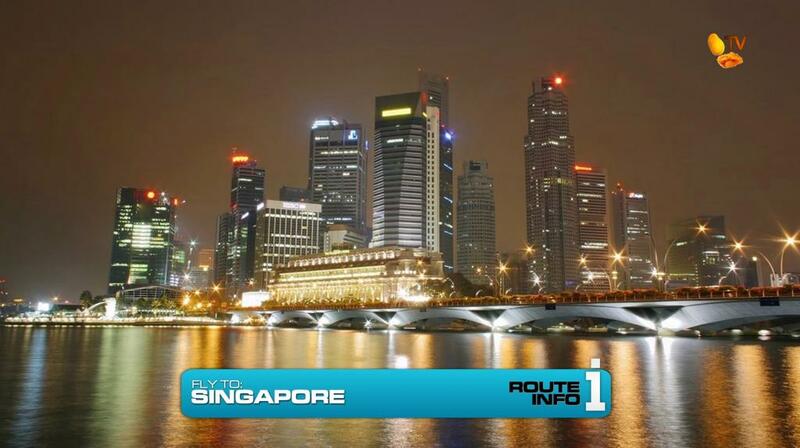 The clue tells teams to make their way on foot to find Merlion. 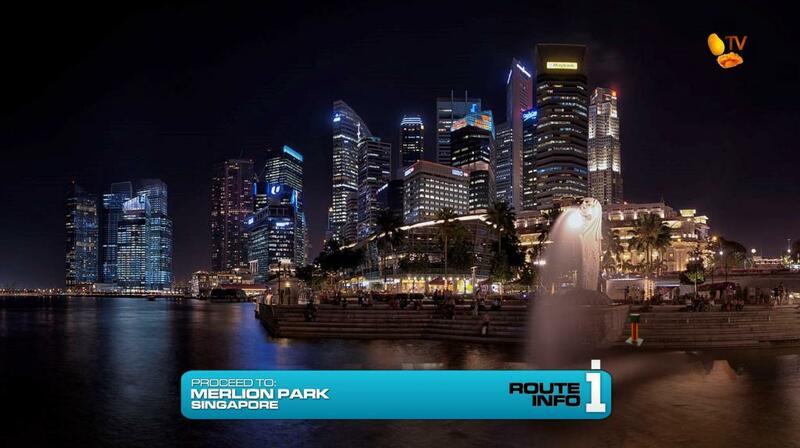 Teams must figure out that they will find their next clue at Merlion Park. 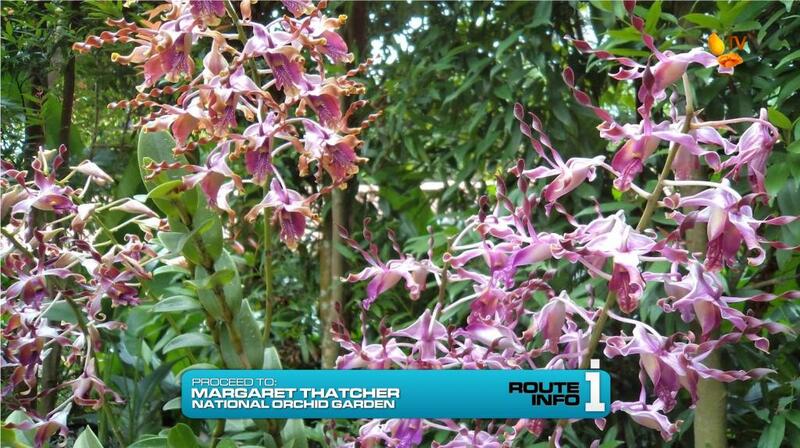 From there, teams will hop on a taxi to take them to the National Orchid Garden, part of the Singapore Botanic Gardens, where they must find Margaret Thatcher. Once they’ve found the Margaret Thatcher orchid, they will find the Detour. 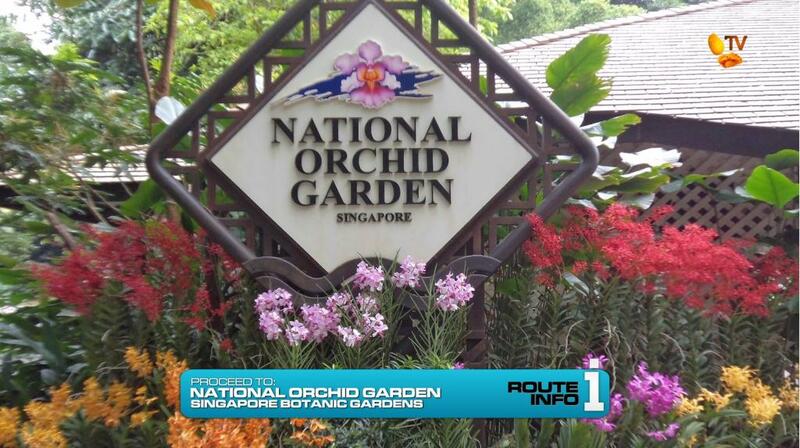 For this Detour, teams will join the Singapore Botanic Gardens’ education program by working with children in two regular activities that take place here. 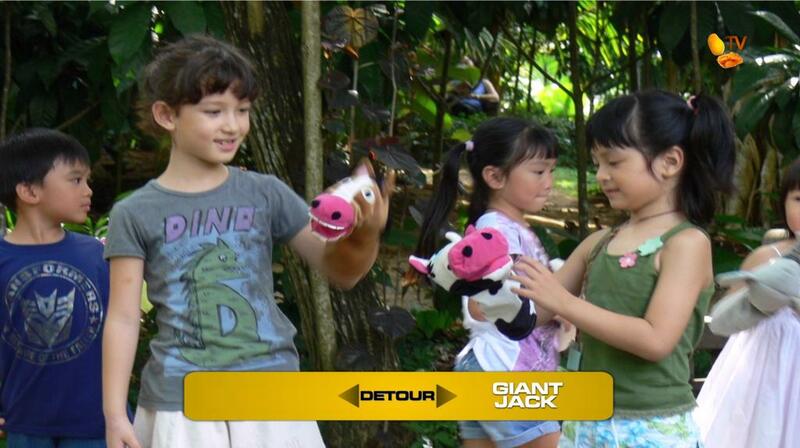 The choice, Little Garden or Giant Jack. 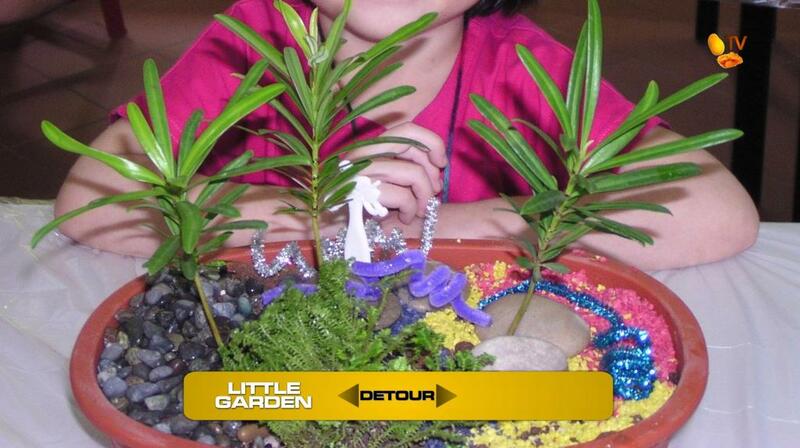 In Little Garden, teams will join a group of schoolchildren in creating a mini garden using a box of supplies including rocks, dirt and small plants. Once team members each make their own mini garden and help the other children in their group finish theirs, they can receive their next clue. In Giant Jack, teams will join a group of schoolchildren as they take part in a drama activity where they will act out the story of Jack and the Beanstalk using puppets. Once they have a clean run-through for an audience, teams can receive the next clue. 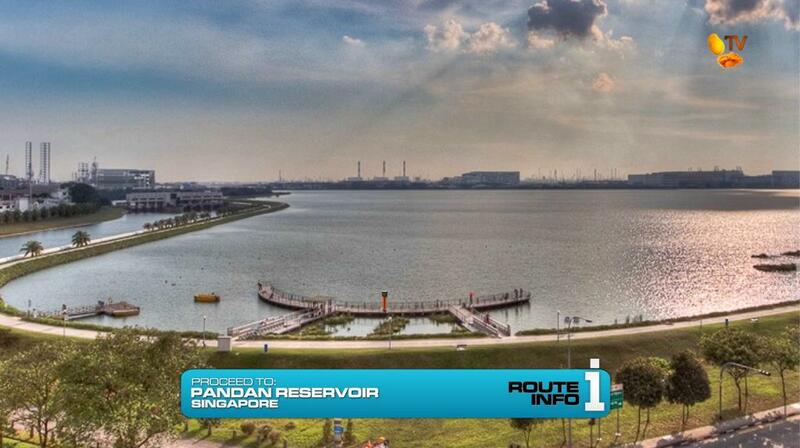 After the Detour, teams will find their next clue at the Pandan Reservoir. 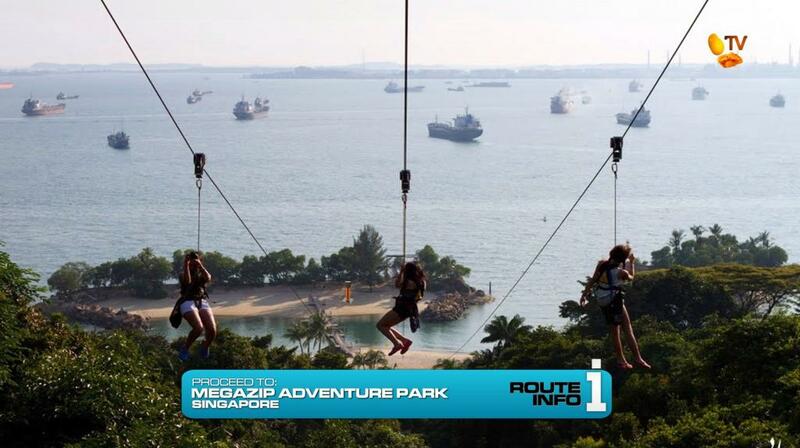 From there, teams must make their way to the Megazip Adventure Park on Sentosa Island where they will ride the zip line. At the end of the zipline, teams will receive their next clue and a sheet of music. 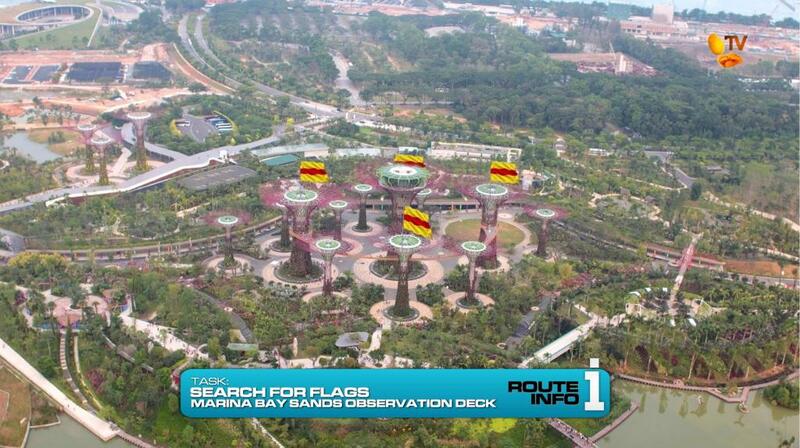 The next clue tells teams to find the durians on Marina Bay. 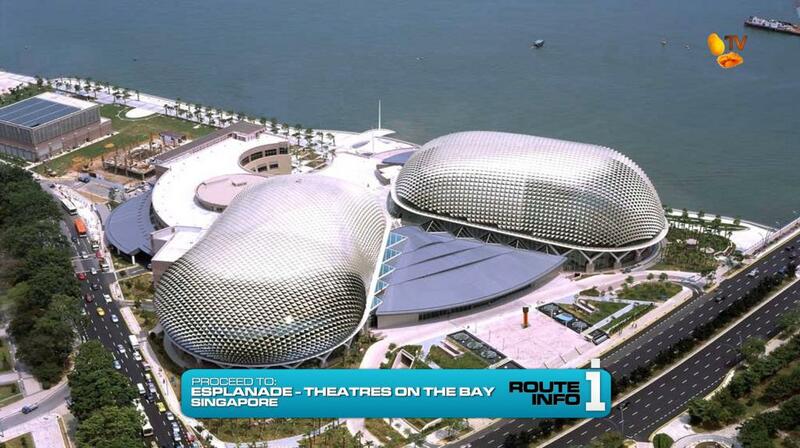 Teams must figure out that their next clue can be found outside the durian shaped Esplanade – Theatres on the Bay. 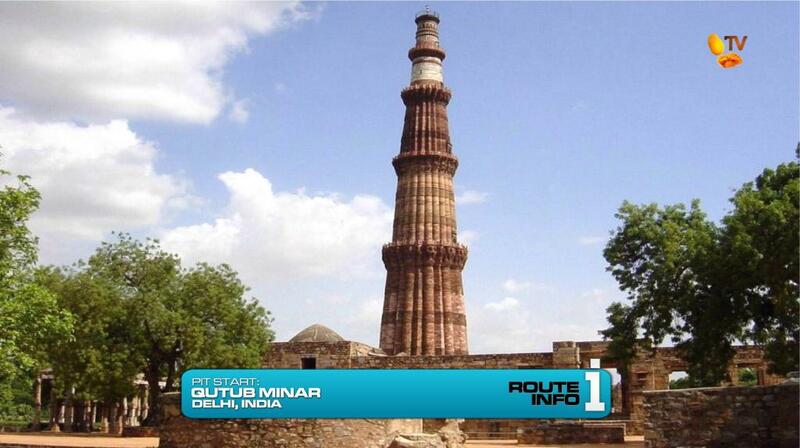 And that clue reveals the Road Block. 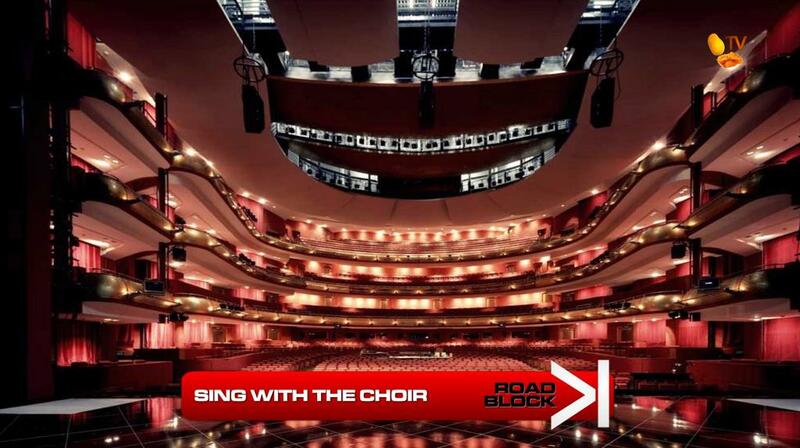 The Road Block count after this must be 6-5. 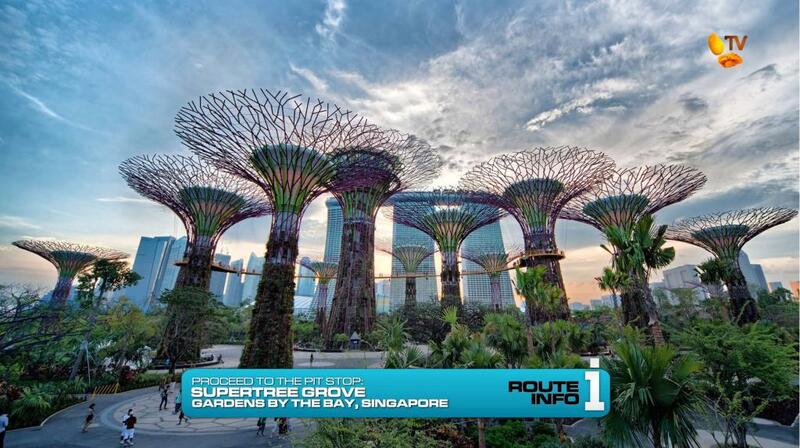 The Theatres on the Bay is home to the Singapore Symphony Orchestra as well as the Singapore Symphony Children’s Choir. For this Road Block, teams will learn and memorize the hymn “Dona Nobis Pacem” using the very sheet of music they received at the zipline (which they could have learned on the way to the theater). 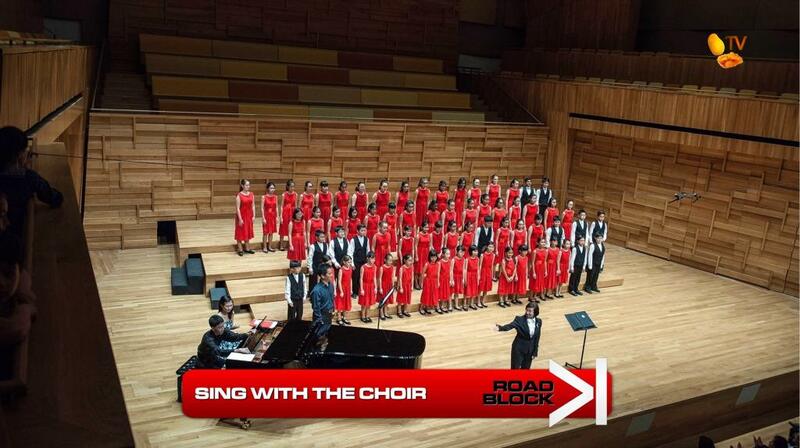 They will perform the hymn with the children’s choir on the Esplanade Theatre stage. Once the choir director is satisfied with the team member’s performance, they will receive the next clue. 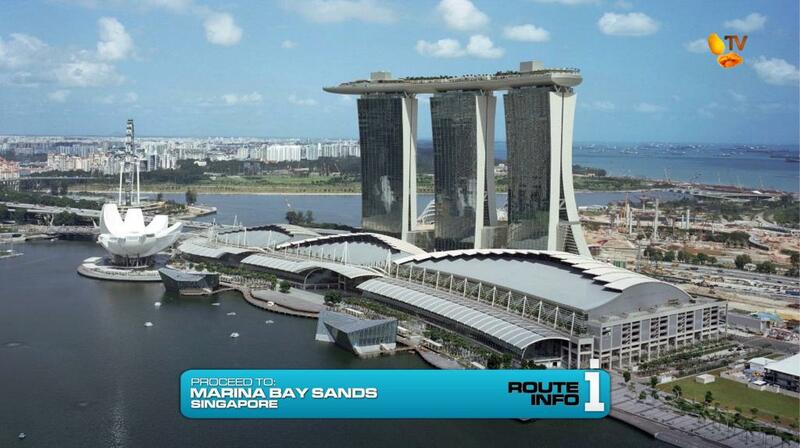 That clue points teams to the SkyPark Observation Deck at the Marina Bay Sands to which they must make their way on foot. The Supertree Grove at the Gardens by the Bay. On the season finale of The Amazing Race Philippines: DryedMangoez Edition, teams head home and battle on the toughest Leg ever, with a grueling Final Road Block that decides who goes home with the biggest prize ever handed out on Philippine television.